Two western European nations organize elections this Sunday: Belgium and Germany. Belgium has nationwide communal elections which will probably confirm the current center-right government of Prime Minister Charles Michel and see anti-immigrant and green parties gain votes. Over in Germany, the richest province known as Bavaria goes to the polls as well. 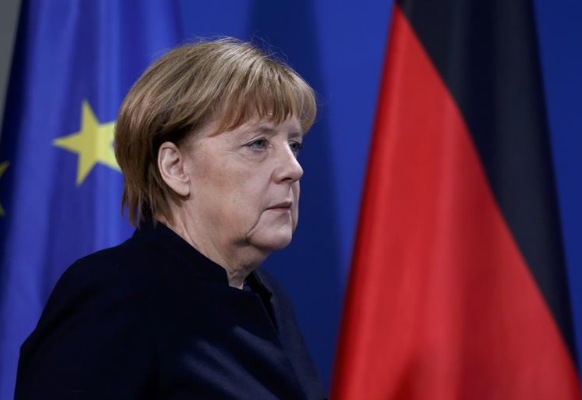 Over there, an earthquake result is expected if polls are correct as for the first time in 50 years the Catholic conservatives of Ms. Merkel are about to lose their parliamentary majority. As everywhere in the country, the loss goes partly to the right-wing anti-immigrant AfD and, surprisingly over here, in major part to the left-wing Green party which managed to sway younger voters. If the most recent polls are to be believed (and in Germany, they tend to be pretty accurate as of late), then the CSU would be taking just 33 percent in Sunday's vote. That may sound like a lot, but it is, in fact, a huge disappointment for a party that has historically governed alone in its native state thanks to a typical vote share of around 50 percent. Related coverage: <a href="https://thegoldwater.com/news/38696-Germany-Election-Merkel-s-Party-Drops-To-Record-Low-10-Days-Before-Vote"> Germany Election - Merkel’s Party Drops To Record Low 10 Days Before Vote</a>. Political crocodiles know that at a moment before a storm hits it is best to cover yourself and thus damage repair is already being done. Bavaria's former prime minister and long-time Merkel ally, Mr. Edmund Stoiber, claims that the reason for the pending loss is because the CSU is a victim of its own success. The economic prosperity of the region is largely to blame for the ruling Christian Social Union's (CSU) slump in popularity, according to the southern German state's former premier. "In recent years, our economic success has seen a one-way migratory flow coming into Bavaria," said Mr. Stoiber. "More than 1 million people have come to us from all parts of Germany in the last 10 years. Bavaria is top of the league in Germany. However, greater economic prosperity can also spur other reactions." In other words, Ms. Merkel’s party members now blame migration to Bavaria from the rest of Germany as the main threat facing the conservative CSU's parliamentary majority. As they have beforehand already ruled out governing with the anti-immigrant AfD, the only viable option left after Sunday would be a government with the Greens, but this, according to Mr. Stoiber, would lead them astray on issues like security and … immigration. "I don't see how a stable alliance could be possible with these differences between the CSU and Greens," Mr. Stoiber claimed. And thus, unless Ms. Merkel is willing to give up the greatest province in Germany, which is unlikely, she will once again have to soften her tone and look for allies after next weekend. Perhaps they meant "migrants causing people to vote against us"?